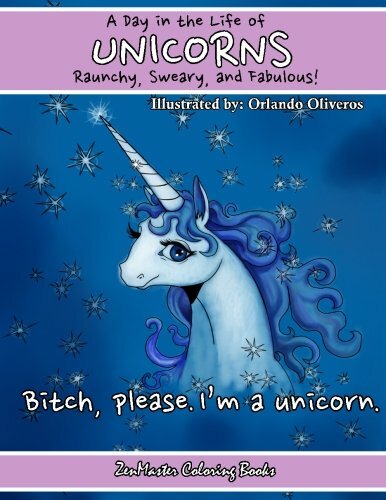 This is not your little-girl fairy tale unicorn story book! These raunchy horned stallions are here to entertain adult colorists - and they do a great job, assuming you have a taste for the naughty and ironic. Best to keep them away from the innocent little ones, just as you would your inebriated cousin. 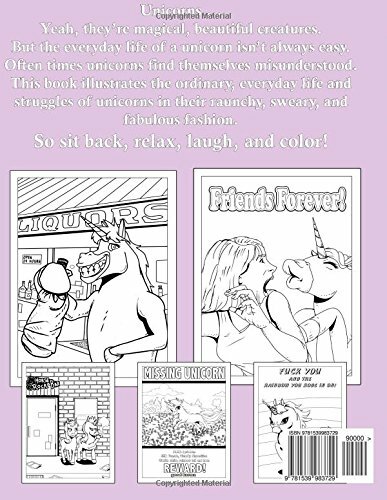 This book takes a stroll through the everyday life (and unfiltered thoughts) of the unicorn and all the cr*p they have to put up with. It's a fun, raunchy twist on the usually sweet and magical world of these mythical creatures. It's a nice addition to the adult swear word coloring book genre. Get a copy and enjoy some laughs!